I am running my ham related software on a Linux system (Kubuntu 18.04). I have a quite complex setup with a number of programs communicating with the rig either via rigctld if a program supports it or directly via a virtual serial multiplexer written in python. In this setup cqrlog is not always running so I start rigctld independently and configure cqrlog not to start rigctld at start up. This is working fine a long as rigctld is not restarted while cqrlog is running or cqrlog is started before rigctld is running. Add a function "Reload RIG interface" which is trying to connect to the rig again if the connection was lost, similar to the existing "Reload CW interface"
If there is already a solution or workaround that allows to reconnect to the rig without restarting cqrlog I would be glad to know. At least opening TRXControl window and change rigs does reload rigctld. 2nd rig can be fake -m1. At bottom radio buttons press 2nd rig and.then 1st rig again. It reloads rigctld and restores port 4532 connection. 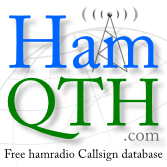 did you try the "refresh TRX/ROT control" feature in the file menu of the new qso window ?? Thanks Alex, "Refresh TRX/ROT control" does exactly what I want. Don't know how I missed that in the menu but not the "Reload CW interface". I'm getting old. Seems that I'm getting old, too. How ever if you have TRXcontol window open (as I have here always) the fastest way is is to switch rigs, even there is no real second rig. Otherwise File/Refresh TRX/ROT control is faster !